Real wood warmth for a classier, more upscale interior look combined with the maintenance-free performance of PVC. Available in oak or pine to complement your interior décor and cabinetry with available exterior paint or stains designed to closely match your choice of interior wood finish. All our glass options are available for all Craftsman windows and patio doors. 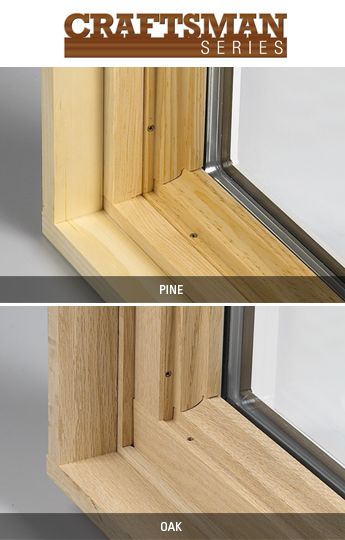 The unique Craftsman design means there is no contact between glass and wood, reducing the risk of premature wood aging and degradation.